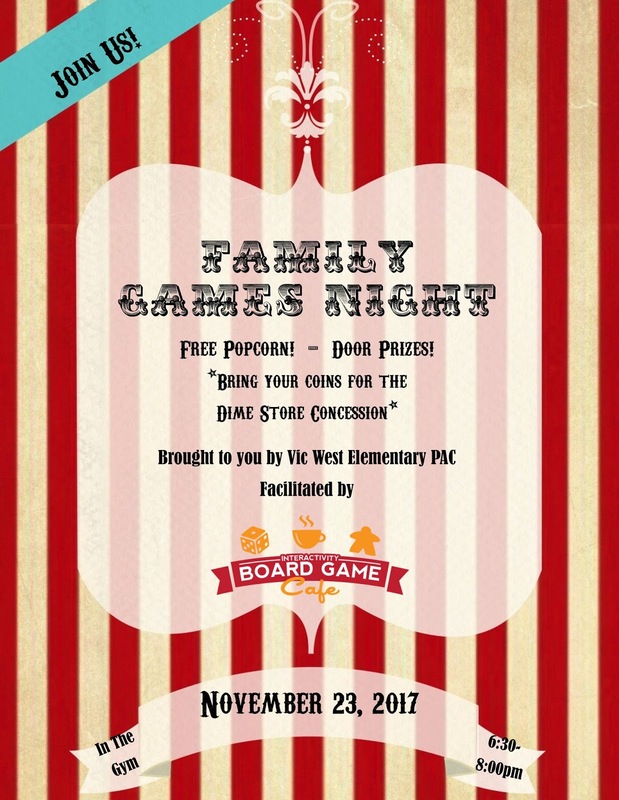 Join the Vic West PAC for a fun Family Games Night on November 23, 2017, from 6:30-8:00pm facilitated by the Interactivity Board Game Cafe. Bring your coins for the dime concession. Free popcorn and door prizes. See you in the gym! 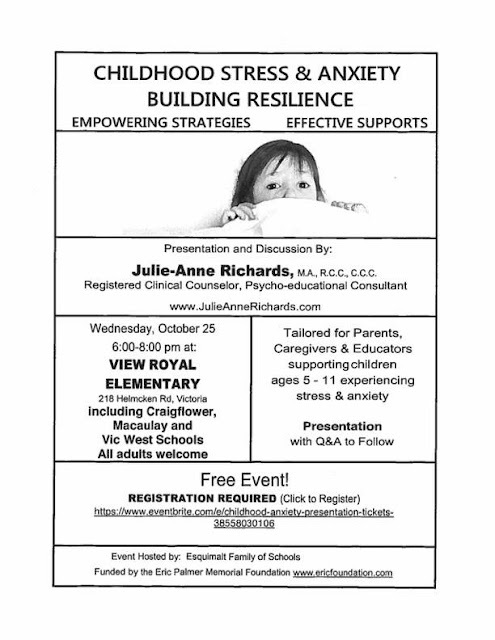 This is a free event for parents, caregivers and educators. Registration through Eventbrite is required. We hope you each had a summer filled with fun, friends and family! We're looking forward to seeing you at school! There is information on the first page, under September 2017. Click: read more for information.